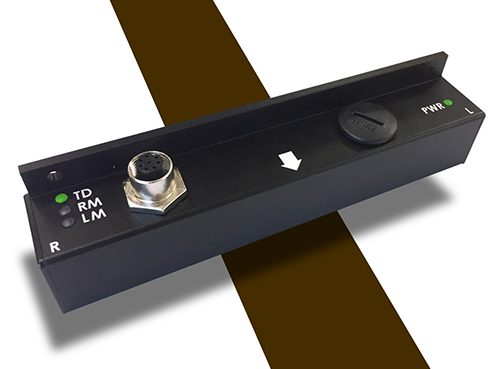 All-metal, shock-resistant 160 mm wide magnetic track sensor with 3-axis Gyroscope, serial, USB, analog, PWM and CAN output. 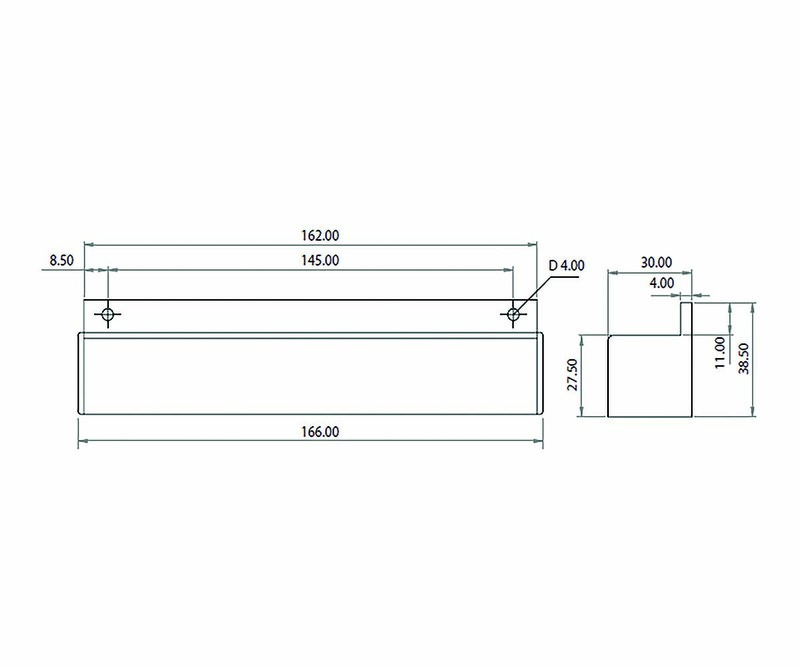 The MGSW160 is a sensor capable of detecting and reporting the position of a magnetic field along its horizontal axis. The sensor is intended for line following robotic applications, using a magnetic tape to form a track guide on the floor. The MGSW1600 is built into a rugged, watertight, all-metal eclosure. It uses a 8-pin waterproof M12-type connectors for its power supply and IO signals. The MGSW1600 includes a 3-axis Gyroscope that can be used to provide additional stability and guidance to the vehicle. Roboteq sells adhesive magnetic tape of 25mm (1") and 50mm (2") width, in 50 meter (150ft) rolls. These are availabe from our online store.